To claim this profile, please confirm you are Ariana Reyes. To follow this profile, please let us know your relationship to Ariana Reyes. Ariana's basketball stats have been updated for the loss vs. Air Academy. RESULTLoss Girls varsity basketball vs. Air Academy. The Sierra varsity basketball team lost Tuesday's neutral playoff game against Air Academy (US Air Force Academy, CO) by a score of 48-44. This game is part of the "2019 CHSAA Girls Basketball State Tournaments - Class 4A". Ariana's basketball stats have been updated for the win vs. Sand Creek. RESULTWin Girls varsity basketball vs. Sand Creek. The Sierra varsity basketball team won Friday's neutral playoff game against Sand Creek (Colorado Springs, CO) by a score of 72-53. Ariana's basketball stats have been updated for the win vs. Cheyenne Mountain. RESULTWin Girls varsity basketball vs. Cheyenne Mountain. The Sierra varsity basketball team won Tuesday's neutral playoff game against Cheyenne Mountain (Colorado Springs, CO) by a score of 54-41. 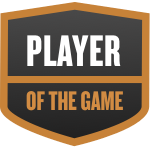 Ariana was selected the Player of the Game in the basketball game against Elizabeth on Thu, Feb 14 2019. Ariana's basketball stats have been updated for the win @ Elizabeth. RESULTWin Girls varsity basketball @ Elizabeth. The Sierra varsity basketball team won Thursday's away conference game against Elizabeth (CO) by a score of 66-17. Ariana's basketball stats have been updated for the loss @ Harrison. RESULTLoss Girls varsity basketball @ Harrison. The Sierra varsity basketball team lost Tuesday's away conference game against rival school Harrison (Colorado Springs, CO) by a score of 59-53. Ariana's basketball stats have been updated for the win vs. Mitchell. RESULTWin Girls varsity basketball vs. Mitchell. The Sierra varsity basketball team won Friday's home conference game against Mitchell (Colorado Springs, CO) by a score of 66-16. Ariana's basketball stats have been updated for the win vs. Widefield. RESULTWin Girls varsity basketball vs. Widefield. The Sierra varsity basketball team won Wednesday's home conference game against Widefield (Colorado Springs, CO) by a score of 75-48. Ariana's basketball stats have been updated for the loss vs. Canon City. RESULTLoss Girls varsity basketball vs. Canon City. The Sierra varsity basketball team lost Friday's home conference game against Canon City (CO) by a score of 67-59. Ariana's basketball stats have been updated for the win @ The Classical Academy. RESULTWin Girls varsity basketball @ TCA. The Sierra varsity basketball team won Wednesday's away conference game against The Classical Academy (Colorado Springs, CO) by a score of 54-34.